Ouch. That stings a bit doesn’t it?? I know that possibly you’ve just pulled a questionable face as to what I’ve just said but I want you to hear me out. I always find the question ‘what advice would you give your younger self’ a little pointless as the past has ended ( a long time ago) and well, everything in our past has accumulated to make us who we are. Whether our past was wonderful or otherwise, it is the foundation of who you have become. Having said that my advice to my younger self, however, would be to fully realise how powerful DECISION is. It took me decades to truly understand, witness and appreciate what I want to share with you now. I believed it was all happening to me. I believed I was powerless around food. I had so many beliefs around this subject….and every belief started with a DECISION. I DECIDED I was powerless around food. Do you know one of the most powerful things which all of us are capable of doing is DECIDING? The vibration of decision brings so many universal laws together – laws of attraction, manifesting, like attracts like…..
We get to decide everything thousands of times every single day. You decide what you wear. You decide who you talk to. You decide what you want to eat. You decide what time to go to bed. You decide what way to drive to work, school, the shops or wherever else you’re going. And for most people that’s where it stops….. Yet you can also decide how you want to feel. How you want to show up in the world. Who you want be which leads me back to what I’m saying. 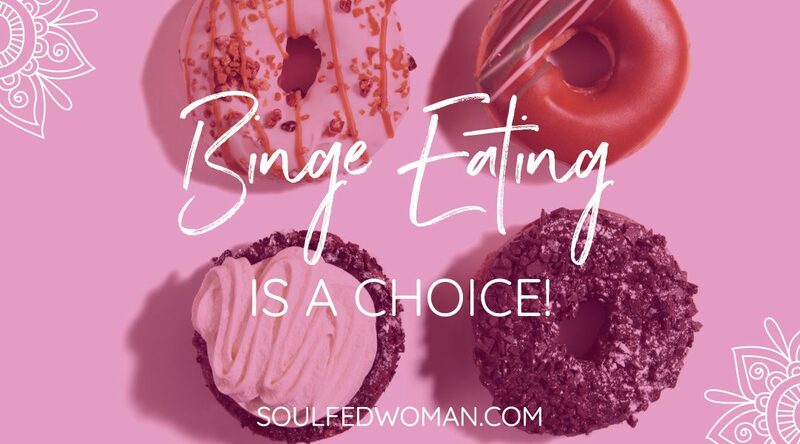 When you identify as being a binge eating you have DECIDED that not only is that true for you but you are also aligning yourself up with the vibration of binge eating, it’s a frequency……your decision creates a thought, which creates a belief, which creates actions and behaviour proving your decision and belief to be true. Over the years I have witnessed, seen and acknowledged how powerful decision is. I get to DECIDE what I want in life. I get to DECIDE who I want to be. I get to DECIDE how I want to feel. I get to DECIDE how I show up as a mum, wife, friend and mentor. I get to DECIDE how I feel in my body. I get to DECIDE how I eat, when I eat and what I eat…. Have you ever thought about creating an e-book or guest authoring on other sites? I have a blog based on the same subjects you discuss and would really like to have you share some stories/information. I know my audience would enjoy your work. If you’re even remotely interested, feel free to send me an e-mail.